Thursday, May, 2 will be the #19 and front step picture for our eighth grade. The regular uniform is to be worn. Also, all teams must bring in their jersey for team pictures for that day. Altar servers, band, drama, etc... will also be taken on that day. Please read the important letter that was sent home regarding the 8th Grade Graduation Mass and 8th Grade Dance. Buddy Day is Friday 4/12 A letter was sent home concerning our role in the Buddy Day and what supplies are needed. -The 3rd Quarter report cards will be distributed on Wed., April 17th. Please read the important letter regarding report card distribution that was sent home with your child today 4/5/19. 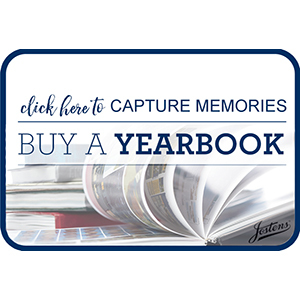 - A Yearbook picture/booster reminder letter was sent home on 4/2/19. - Please read the important letter that was sent home regarding the 8th Grade Graduation Mass and 8th Grade Dance. - The 8th Grade Trip packet was sent home on 3/29/19. -School is in session on Thursday, April 18th, Holy Thursday.